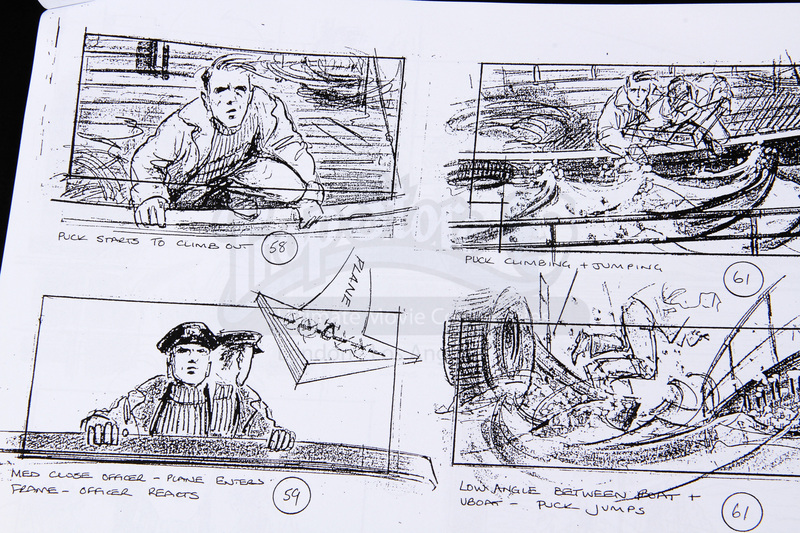 A set of storyboards used in the production of the 2001 wartime espionage thriller Enigma. 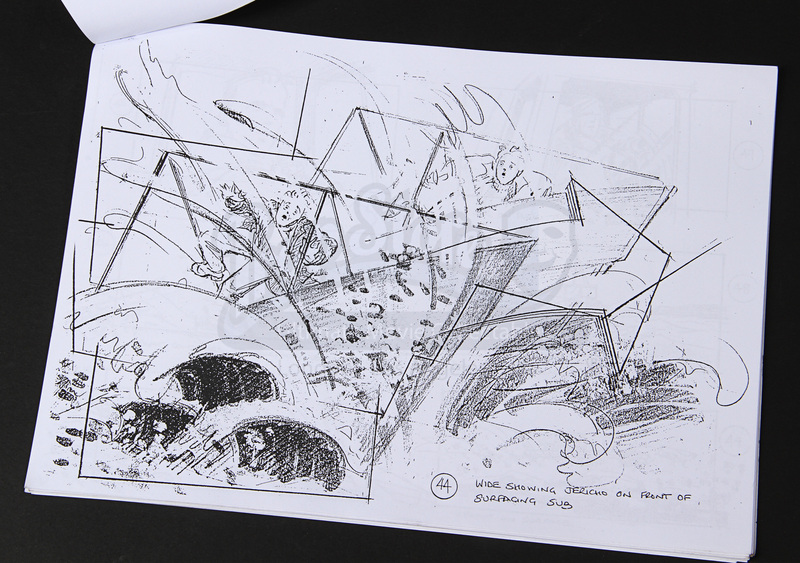 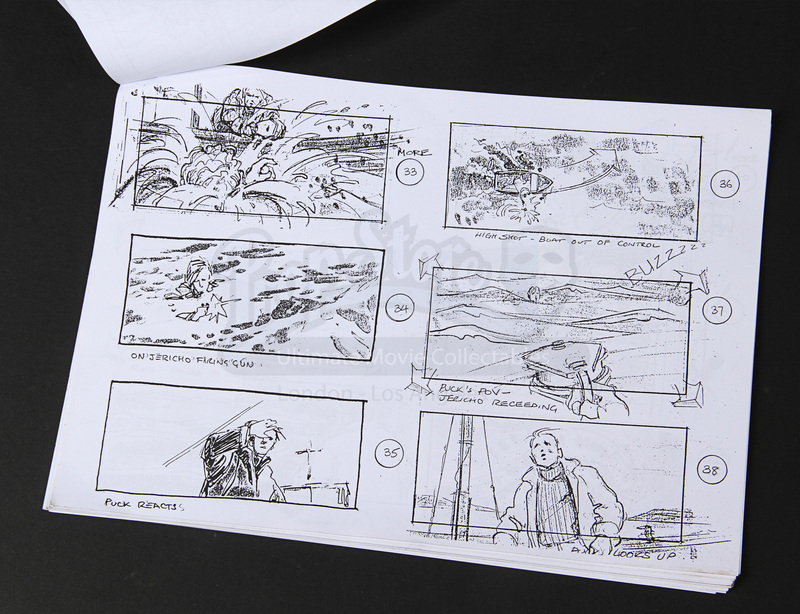 This set of storyboards was used to visualise the film’s U-boat sequences, including different versions of the scenes involving the destruction of the U-boat and the death of Puck (Nikolaj Coster-Waldau). 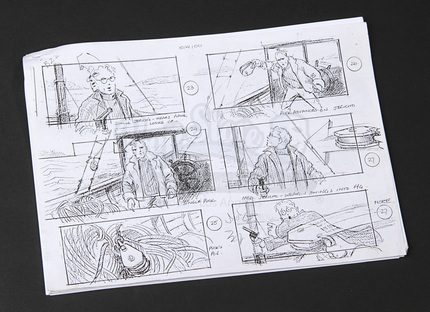 The storyboard pages are printed in landscape format in black and white with some scene directions on white A4 paper which are stapeled in the top left corner. 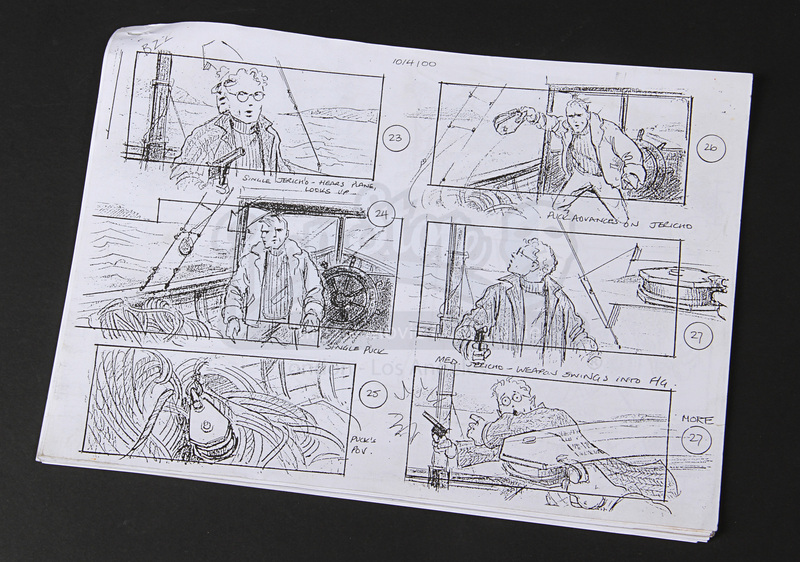 Displaying some minor wear from use in the production, the storyboard set remains in overall good condition.